We believe we can have a far greater social, environmental and economic impact by having an open and honest dialogue with our partners. We make it a priority to regularly engage in conversation with one another to share insights, knowledge and expertise that will power us towards a common goal and better future. These partners have played a pivotal role in the development of our ethical sourcing programs, by helping us identify any gaps in order to elevate them to the next level. As a proud member of ACT, the Cotton On Group is committed to working collaboratively with fellow signatories towards the establishment of industry wide collective bargaining to create positive change to the way wages and working conditions are set. Industry wide collective bargaining allows trade unions and manufacturers to jointly establish appropriate wages and conditions of employment. ACT (Action, Collaboration, Transformation) is a foundation jointly created by global retailers in the garment and textile sector and IndustriALL, the global trade union federation representing garment and textile workers. This ground-breaking agreement between retailers and trade unions exists to transform the garment and textile industry with a goal of achieving living wages for all workers. This will directly support the Group’s own journey toward paying fair wages. The Cotton On Group is a proud signatory of the Bangladesh Fire and Safety Accord. After originally signing the Accord in 2014, the Group this year re-signed a three year commitment as part of the 2018 Accord along with a group of over 50 global retailers. Together, we are committed to improving the conditions for factory workers in Bangladesh while ensuring the garment industry is both safe and sustainable. The Bangladesh Fire and Safety Accord is an independent agreement designed to make all garment factories in Bangladesh safe workplaces. It includes independent fire safety inspections at factories, electrical and structural engineering tests, and public reporting of the results of these inspections. The Accord is a legally binding agreement. It has been signed by over 150 apparel corporations from 20 countries in Europe, North America, Asia and Australia; two global trade unions, IndustriALL and UNI; and numerous Bangladeshi unions. Clean Clothes Campaign, Workers’ Rights Consortium, International Labour Rights Forum and Maquila Solidarity Network are NGO witnesses to the Accord. The International Labour Organisation (ILO) acts as the independent chair. The Group is proud to have been a signatory of the original Bangladesh Fire and Safety Accord in 2013. Over the last five years, more than 80,000 safety violations have been corrected in signatory companies’ garment factories and 500 factories are more than 90 percent remediated, through the help of the Accord. For more information about the Bangladesh Fire and Safety Accord, click here. over 30% of our global cotton supply. Business for Development (B4D) is a not-for-profit organisation that exists to solve extreme poverty through inclusive economic growth. Working in the private sector, B4D has developed numerous inclusive business partnerships – in countries such as Papua New Guinea, Kenya and Laos – using a model which harnesses the power of markets and connects smallholder farmers to commercial opportunities. The Cotton On Group began working with B4D in 2014 to launch its very own sustainable cotton project in Kenya which now supports over 2,500 smallholder farmers. 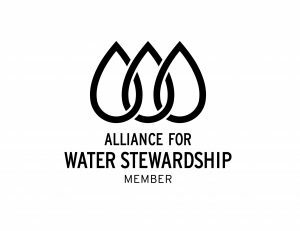 The Alliance for Water Stewardship (AWS) system is a globally-applicable framework for major water users to understand their water use and impacts, and to work collaboratively and transparently for sustainable water management within a catchment context. AWS champions a collaborative approach to achieving and recognising best practice water management by industry and other major water users, and provides global governance, technical support and brand support. The Cotton On Group joined AWS in September 2017, since which time it has been working with its suppliers to enhance their water management systems. For more information about AWS, click here. CARE is an international humanitarian aid organisation fighting global poverty in 94 countries, with a special focus on working with women and girls to bring lasting change to their communities. CARE is non-religious and non-political, and has been working together with communities to provide emergency relief and address the underlying causes of poverty for over 70 years. The Empowering Women Workers in Bangladesh project aims to increase the number of women garment workers in leadership roles in the participating factories in addition to tackling the barriers that women face to achieve equality in the workplace, and supporting women to take control of their own lives. Sedex is a global not-for-profit organisation that exists to help companies to simplify the business of responsible trade. With 43,000 member businesses across 150 countries, Sedex operates the world’s largest collaborative platform for sharing responsible sourcing data on supply chains. With a strong focus on traceability, the Cotton On Group joined Sedex in January 2018, utilising its technology to share responsible sourcing information with other retailers across four key areas of Labour Rights, Health and Safety, Environment and Business Ethics. For more information about Sedex, click here. The Cotton On Group is proud to be cruelty-free accredited by the People for the Ethical Treatment of Animals (PETA), a non-for-profit organisation that exists to establish and protect the rights of all animals. This accreditation means we do not conduct or commission animal testing on ingredients, formulations or finished beauty or personal care products and we pledge not to do so in the future.